The Bapu@150 celebrations were inaugurated in Brunei Darussalam with an evocative ceremony held at the High Commission premises today. 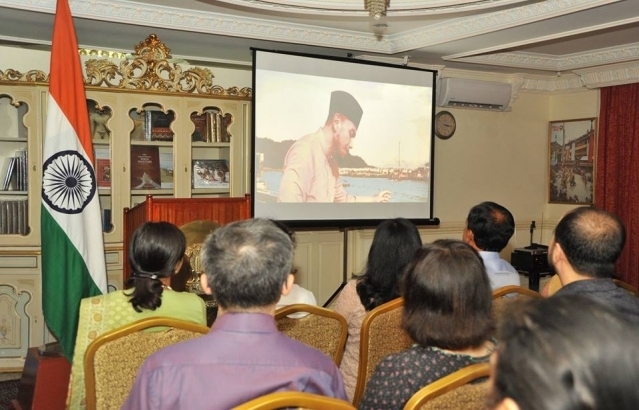 The event began with a screening of a video of Vaishnava Jana To, the bhajan beloved of Gandhiji, sung by Fakhrul Razi, well-known Bruneian singer, among the scenic locales of Bandar Seri Begawan. Smt. Nagma M Mallick, High Commissioner of India, then delivered the keynote address on Bapu’s Legacy to the World. She first highlighted the main milestones of his life and work in South Africa and then outlined in sequence the major political movements he launched in India between 1915 and 1948. She focused on exploring his legacy in the areas outside the arena of political representation: the debt owed to him by diverse movements like environmentalism, vegetarianism and veganism, raw foodism, temperance, the women’s movement and gender equality. 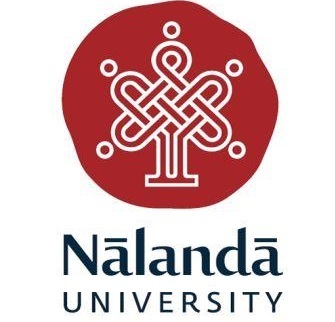 She examined Gandhiji’s use of clothing as a political statement, his practice of maun vrat or vows of silence and the legacy these practices have left in India and the world. She then informed the audience of the inauguration of these celebrations by Prime Minister Shri Narendra Modi on 2nd October in New Delhi with the Mahatma Gandhi International Sanitation Convention. 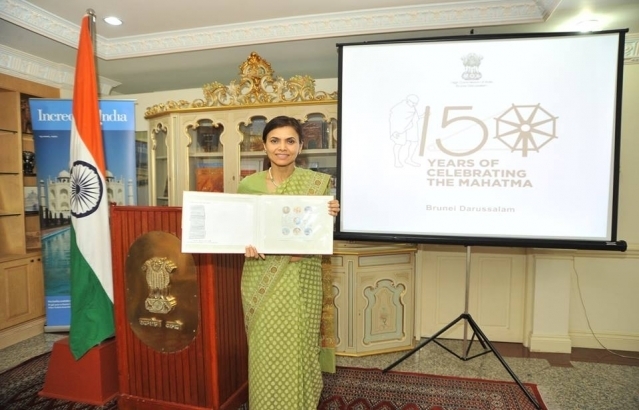 The High Commissioner then presented the 7 special commemorative stamps on Gandhiji released by India Post. 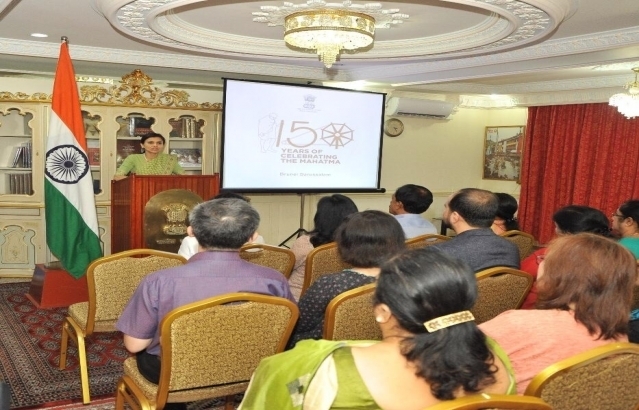 The 4-minute LED presentation on Bapu’s message to the world was screened. 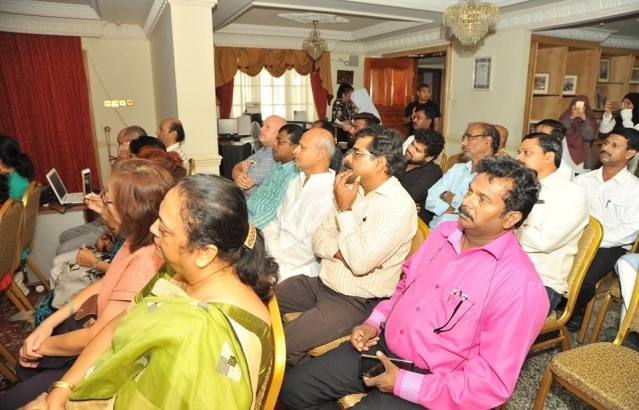 The event ended by the screening of the video of the fusion of diverse singers from all over the world singing Vaishnava Jana To, after which refreshments were served. 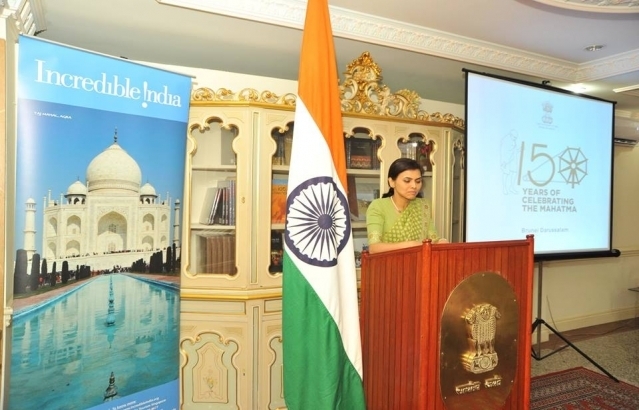 The audience consisted of members of the Indian and expatriate community. The event was reported by the local print media including the Borneo Bulletin, English daily, and Media Permata, Malay-language daily.